If it happens to lose on a slot game at Northern Lights Casino, there is no need to worry. You can get a nice cashback bonus every Wednesday. 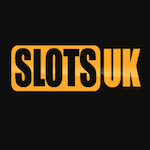 Deposit minimum 10 Pounds and you will receive 15% up to £50 of your loses back. This promotion is active every Wednesday during November. The maximum funds you can receive is 50 Pounds as bonus funds. This means that they can only be used to play more slot games. It can take up to three working days to be credited to your account, so be patient! Your money will get to you. Play at Northern Lights online casino and get your money back when you lose! Spin Fiesta Casino offers you a chance to start 2018 in the best way. Deposit 25 pounds on December 31st using the code 2018 and you can take advantage of a 25% cashback up to £500 the next day. Did you lose trying to score a winning combination on table games? It doesn’t matter because you can get some of your losses back on January 1st. The bonus money should be used within 7 days otherwise they will expire. Meet the 50x wagering requirements and after that you can cash out. Access Spin Fiesta Casino UK and claim this bonus! Wednesday might just be your lucky day. Make a deposit of minimum 20 Pounds on this day at 888casino and you have the chance to benefit from a great offer. In order to acces this awesome promotion, you have to use the code WinWed. If you play your favourite games and by any chances you don't win, you'll get 20% up to 20 Pounds cashback. Log into your 888casino account and benefit from his promotion right now! The bonus money is available only for 14 days since credited, so don't waste any time! Get it and multiply it! If you want to withdraw your winnings, you need to play through your bonus money 30 times. Gamble and have lots of fun! 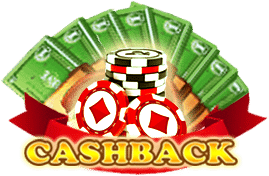 If you play Roulette Table every weekend, from Saturday to Sunday, you can receive a 25% Cashback bonus on aggregated losses up to 300 Pounds. Log into your account, make a deposit, and enjoy your gambling. The minimum payment you can get is 5 Pounds, while the maximum is 300 Pounds and there's no code required. Hurry up and start playing because once claimed, the extra cash will only remain in your account for 7 days. If by then the wagering requirements are not met, both the bonus money and winnings will be removed. Get your hands on lots of money today!